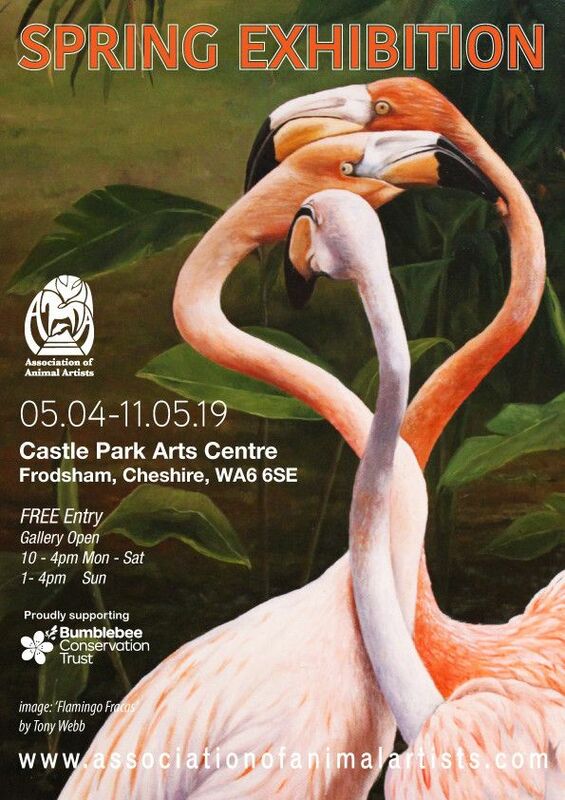 Start the Spring with the Association of Animal Artists' exhibition at Castle Park Arts Centre in Frodsham. Admire a stunning collection of works in all mediums by a range of talented artists whose work covers a wide spectrum of the animal kingdom. The AAA is committed to supporting its animal charity partners and actively works to promote them, including Lancashire Constabulary Retired Police Horse Benevolent Fund, World Horse Welfare, Wildfowl and Wetlands Trust (Martin Mere Wetland Centre) and the Pollyanna Pickering Foundation. In 2019, they are proud to be supporting the Bumblebee Conservation Trust (BBCT). Bumblebees are in serious decline, and the AAA hopes that by working alongside the BBCT they will be able to help raise public awareness of their plight, as well as educating the public about the care and protection of this wonderful hard working insect.